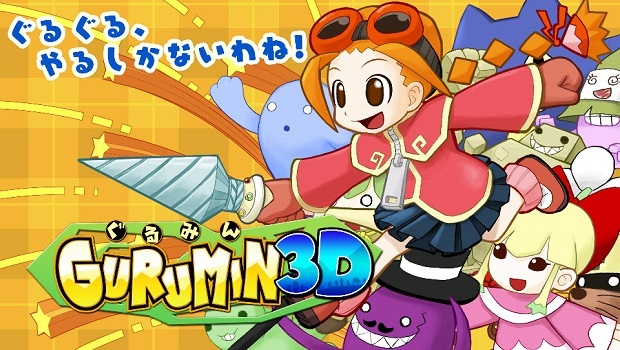 Released earlier this year, Mastiff published Nihon Falcom’s Gurumin 3D for the Nintendo 3DS in North America, which we called “a fun romp down memory lane”. Collaborating with Flyhigh Works, the game was also released in Japan on November 30. We got to speak with Bill Swartz, president and CEO of Mastiff, to talk about the company’s experience with publishing Gurumin 3D as well as the Steam version of the game. Gaming Trend: Gurumin’s a title that’s been through a lot since its original release in 2004. What made you decide to publish it over here in North America on the PSP originally? Bill Swartz, Mastiff President & CEO: Love! Pure and simple. And the notion that it might be a good business. Supercilious though that explanation sounds, it’s totally true. I just loved the game, thought it was a great mixture of platforming and RPG, and liked the idea that there was so much more to it than met the eye. And since I thought the PSP could use a really RPG I thought it might be a good opportunity for other people to enjoy it too. GT: Since the initial release on PSP, Gurumin’s been re-released here on Steam and 3DS. Were there any issues releasing the title digitally? BS: You mean with digital distribution versus physical goods? Releasing physical goods is kind of like banging your head on the wall repeatedly. Once you stop, you really wonder why you ever started. Of course, this is a bit of an oversimplification, and there are times why physical games make sense, but by-and-large yeah, digital distribution is muuuuuch easier and less risky. GT: You’ve collaborated with Flyhigh Works to release the 3DS version of the game in Japan last month. How has the reception been for the game over there? BS: Doing great, as of yesterday the game was ranked #7 on the 3DS sales list. Bam!!!!! GT: Do your duties as publisher include localization to some degree? BS: In the case of Gurumin 3DS, we not only did the localization entirely ourselves, we wrote the 3DS code and did all the other required development work. Very roughly, the Gurumin dev work represented about 15,000 man-hours of Mastiff time and the localization maybe 500 hours. Our titles are about a 50/50 mix of titles we localized and titles we’ve developed from scratch. In either case, it’s about making sure the user has a great experience. GT: What kind of cool things come your way as a publisher? BS: You get to make people happy. I remember some time ago making an airline reservation, giving my email address (which includes the name of the company) and the reservation agent was like “Oh, wow. My daughter and I are playing La Pucelle (one of our older RPGs) together right now.” Moments like that are awesome! GT: Are there any other games you’re thinking of publishing in the near future? BS: There are a handful of things on the back burner, but we’re not announcing anything today. GT: Any final words or inspirational quotes you might give our readers for the Christmas/holiday season? BS: Don’t get your tinsel in a tangle, know that when you stop believing in Santa you get underwear and socks (if you’re lucky), and most importantly – go out and be kind to each other. And if you haven’t played Gurumin yet, please pick it up in the Nintendo eShop. And if you have already, thank you very much for your support, and please take a second to rate the game in the eShop. We could really use the support. Gurumin 3D is available on Nintendo 3DS via the eShop now. Gurumin is available on Steam now.